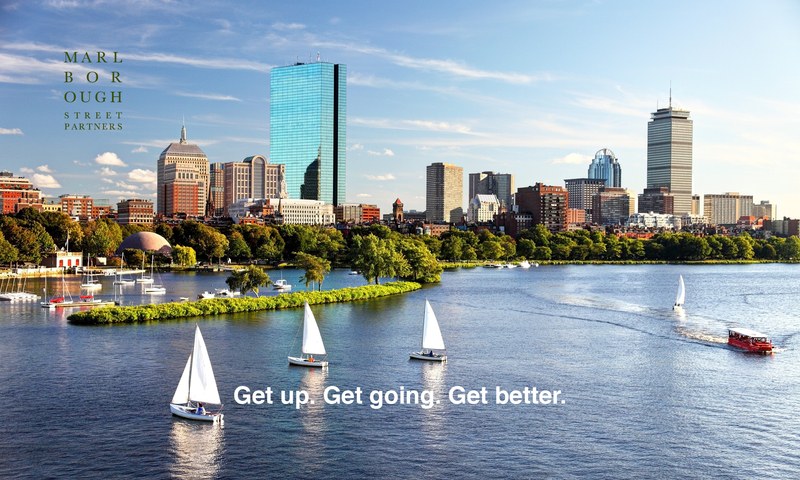 Our principals are based in Boston, New York, St. Louis, and Washington, DC. We manage client engagements across the U.S. and for companies in Europe and Israel that want to get here. Our core team is supported by affiliates that extend our skill set, market focus, and geographic coverage. Managing Principal Ken Marshall was Chairman, co-founder and former CEO of QuickPivot. Previously, he was CEO of Correlsense, CEO of Carbonflow, President and COO of Giga Information Group, and CEO of Object Design (a #1 company in the Inc. 500). Mr. Marshall was also a group vice president at Oracle Corporation and was the founder of Oracle’s consulting services business. He has served as an independent Director of several technology companies including; Actuate Corp., Streambase Systems, Current Analysis and Visix Software. He has a B.A. from Northeastern University and an M.A. from Boston College. You can reach Ken here. Principal Jonathan Bain is an attorney and technologist with over 30-years experience in the software industry. Jon has acted as both in-house and outside counsel in environments ranging from AmLaw 50 firms to boutiques. Jon’s business experience includes stints in business development and consulting, as well as serving on the boards of several startups. His technical background ranges from pre-relational databases to IoT. Jon is currently a Principal at Intangible Strategies, where he advises technology companies on strategic partnering, intellectual property, and privacy. He served in various roles at Object Design (acquired by Progress Software), Access Technologies (acquired by CA Technologies), Dynamics Associates, and WilmerHale. He holds a BA from Dartmouth College and a JD from Yale Law School. Reach Jon here. Principal William Blundon has been a senior executive for companies ranging in size from start-ups to a $7 billion global corporation. He is currently Chairman and CEO at AdvertOne, Inc., a MadTech company. Bill previously served as a COO, CPO, CSO, EVP, and four-time CMO in companies ranging from information security to multi-channel marketing. He has extensive international experience including resident assignments in Paris and Amsterdam. He was on the board a leading industry consortium and is a member of the International Association of Privacy Professionals and the Boston CTO Club. You can reach Bill here. Principal Howard Cannon has been a senior software executive in several technology-driven companies. He was VP of Software Engineering at Thrive Bioscience and Corporate Fellow at Rethink Robotics where he developed behavior-based robot brains. Prior to that he co-founded several companies including ModelSheet Software, Groton NeoChem, and Symbolics where he developed advanced computer systems for artificial intelligence. Howard also has extensive experience in product management and as a General Manager. He is an active investor in the Launchpad Venture Group. Reach Howard here. Principal Mike DiFranza has served as Chairman, CEO, COO, GM and VP Sales for a range of Fortune 500 corporations, venture-backed startups, and non-profits. Mike’s experience spans the hardware, software, media, advertising, promotions and payments industries. He was the founder and CEO of Captivate Network the world’s largest digital place-based media network targeting white-collar business professionals. Mike was also the founder and Chairman of the DPAA, an advocacy group for this $3 billion industry. He served as General Manager for Gannett’s specialized media business and as President/COO Linkable Networks, which eliminated paper coupons by linking their value directly to the payment card used in purchases. He also led the America’s sales organization for Mentor Graphics. Mike has led numerous M&A transactions and venture/PE funding initiatives. He holds six US Patents and numerous international patents. You can reach Mike here. Principal Dennis Driscoll is an expert in omni-channel customer intelligence, cross-channel, digital/CRM and marketing automation consulting, marketing/agency services and sales for leading retailers and national consumer brands. He was most recently VP of National Account Development for Zeta Interactive. He served as enterprise sales and solutions director at eBay Enterprise. Dennis was also Sr. Global Client Services Executive at Acxiom Corporation and Sr. Customer Intelligence Executive at SAS. He was SVP of Strategic Business Development for Direct, Digital & Agency Services at Epsilon and was SVP and General Manager of Fidelity Investments’ in-house agency. He has an MBA from Boston College, an MS from Boston University, and a BS from the University of New Hampshire. Reach Dennis here. Principal Jennifer Gabler is an expert in operational and venture finance. As a CFO and CPA, she has extensive experience in complex capital structures, budgeting, forecasting and management reporting, internal controls and systems, and investor relations. She is a co-founder of The Refinery, an accelerator for women-led companies. She was a lecturer and researcher at both Tuck and Harvard Business Schools. She has an AB from Dartmouth College and an MBA from Columbia University. You can reach Jen here. Principal Bill Haines leverages his product management and marketing experience to help organizations deliver and communicate relevant value to customers. He has deep experience in the methodologies critical to product management, solution planning, and foundational marketing. Bill previously served as VP Product & Marketing within leading information companies Elsevier and Wolters Kluwer, and within a large-scale start-up in the medical information space. He has also held executive positions at a software development firm and at an award-winning marketing communications agency. He is author of the book: The 21 Rules of B2B Marketing. This combination of product and marketing experience lets Bill bring a strong market-facing emphasis to engagements. Reach Bill here. Principal Andy Jacobson brings over 30-years of experience as an operating executive and private equity professional, with a focus on information, data analytics, software, media and business services sectors. Andy began his career as a journalist and founded several companies, including a subscription-based regulatory information company, a media/trade show division of The Washington Post Company, and a small business investment company (SBIC) fund. He has served as President/COO of three information publishers and Executive Chairman of two market research firms (Kagan Research and Jupiter Research). As a Managing Director at MCG Capital, Andy invested over $250 million in more than 25 privately held media, information and technology firms. He has served as member or observer on 17 boards of directors. As a consultant, he has guided numerous companies on strategy and in their analysis and understanding of product line profitability (including the creation of dashboard monitoring mechanisms) and the resultant actionable decisions related to acquisitions, divestitures, product launches and product shutdowns. You can reach Andy here. Principal Elad Katav is CEO and founder of Cupixel, Inc. a company that uses augmented reality software to make art creation accessible to everyone. He was COO of Correlsese, Inc. where he managed strategic alliances, customer service, and product development. He also led business development at Naya Technologies, was VP of delivery at Veracity Group, and was a lecturer in Inventive Thinking at Ono Academic College in Israel. Elad has an MBA from IDC Herzliya and a B.S.c. in Computer Science from the Academic College of Tel-Aviv. He served as a Major in the IDF Intelligence Corps. Reach Elad here. Principal Jeff Massa was President of Redbox, a business and strategic consulting firm focused on strategic planning, product development, and M&A. He was also President and CEO of YellowBrix, where he developed software to categorize, summarize, and extract information from 8,000 licensed global publications. He did four acquisitions and applied for patents in contextual ad matching and learned behavior modeling. Earlier in his career he was SVP Technology at Intell-X and VP Technology at Comtex Scientific Corporation. Jeff also worked for the National Security Council where he served three presidents as Deputy Director in charge of situation support systems. Reach Jeff here. Principal Ed Perry has served as a senior executive for more than 25-years with an impressive blend of consulting, sales, and operations experience. He has successfully grown revenues and expanded customer bases at both early stage and large enterprises. He has managed consulting practices, support functions and enterprise software sales teams. Ed has a strong knowledge of quote-to-cash business processes, financial applications, internal controls, performance metrics, and operations. He has developed businesses in the US, Canada, Caribbean, Latin America, and Australia. Ed was a consultant with Touche Ross & Co. (now Deloitte), Regional Manager with Oracle Consulting, Sales Director with Kenan Systems (acquired by Lucent), Vice President Sales at Telution (acquired by CSG), Vice President Sales at Integra5, and Vice President Sales at Correlsense. He has a BS from Ithaca College and an MBA from Boston University. You can reach Ed here. Principal Jerry Rulli uses his extensive experience as a tech executive to create effective go-to-market strategies that deliver successful revenue generation at scale. Jerry has led sales teams in companies ranging in size from $100M to $3B and engineered transformations that enabled companies to penetrate new markets through vertical sales. He has deep experience in M&A and integrating disparate sales models. Jerry’s knowledge in operating, scaling, and leading International organizations has provided him with the expertise to manage and lead complex organizations. He was most recently COO of Progress Corporation (NASDAQ: PRGS). Previous roles included EVP Sales at Iron Mountain (NYSE: IRM), and several executive management roles at Infor including President Americas and President Enterprise Systems Group. Reach Jerry here. Principal Jeff Swartz has launched, managed, and advised businesses in North America, Europe and Asia. He has been responsible for capital raises of more than $50 million to finance entrepreneurial ventures. He has diverse experience as an entrepreneur, executive, and consultant in technology- and information-intensive businesses. Jef served as CEO, Interim CEO, COO, and senior executive in businesses such as IT market research/analyst services, health care services and software, dispute resolution, software development outsourcing, biomass energy production, waste recycling, specialty food products, life sciences, marketing analytics software, consumer health food products, and education technology. Jeff was Vice Chairman and Partner at Business Strategy Group, President of Hundsun Global Services, and CEO of Current Analysis, among other leadership positions. You can reach Jeff here.